Ledecky won gold in the 800-meter freestyle at the 2012 Olympics. 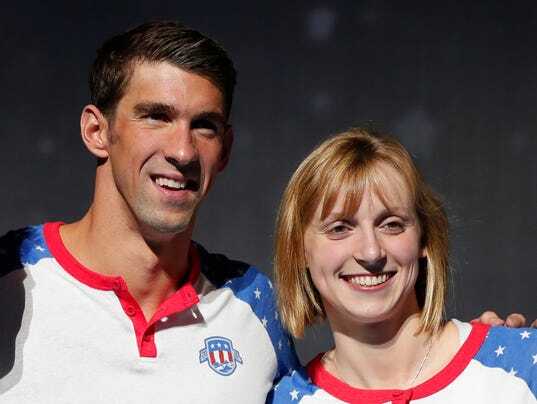 RIO DE JANEIRO — Michael Phelps and Katie Ledecky, the best-known swimmers on the U.S. Olympic team, will each be a part of their respective 4×100-meter freestyle relay teams, USA TODAY Sports has learned, almost assuredly adding to their medal totals during the upcoming Rio Olympic Games. Phelps will swim in the final of the men’s freestyle relay Sunday night, while Ledecky will swim in the preliminary heats of the women’s freestyle relay Saturday afternoon, according to a person with direct knowledge of the U.S. swimming team’s plans. The person spoke to USA TODAY Sports on condition of anonymity because they were not authorized to speak publicly. If a nation’s relay team wins a medal in the final, not only do the final swimmers win the medal, but the preliminary swimmers do too.